Women's rights organisations lead change. Every day. They fight for gender equality, for women's leadership, safety and economic empowerment. They reach women with practical services to keep them safe, to provide powerful information about their rights. And they work to change the systems and structures that deny their rights. Yet, women's rights organisations in the Asia Pacific Region are not getting the funding they need to transform how the world works for women and girls, in all their diversity. At this rate, it will take centuries to achieve gender equality. This International Women's Day, ask the Australian government to step up Australia's leadership in supporting women's rights organisations in our region. The Australian Government's own Gender Equality and Women's Empowerment Strategy recognises the work of women's rights organisations as critical to progressing gender equality. Yet, in 2016, a minuscule 1.22% of the aid budget went to supporting women's rights organisations. It's time to stop short-changing women and girls!it's time to step up. 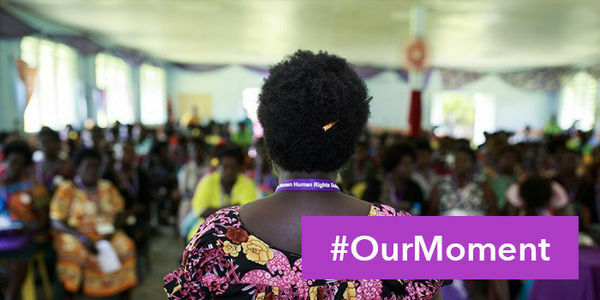 When women's rights organisations are properly resourced, their work gives women a voice, and enables them to stand together, and hold government to account for their commitments to women's leadership, safety, and economic empowerment. This International Women's Day, join IWDA and our partners to call on Australia's government to increase support for women's rights organisations. It's time to stop short-changing women and girls. Ask the government to step up Australia's leadership for change by supporting women's rights organisations in our region. OECD DAC Creditor Reporting System, data reported against purpose code 15170 – women's equality organisations and institutions, 2016.